When Chen's parents are incinerated before his eyes by a blast of ball lightning, he devotes his life to cracking the secret of this enigmatic natural phenomenon. His search takes him to across mountain peaks and deep into highly classified subterranean labs. 'Cixin Liu is the author of your next favourite sci-fi novel' WIRED . 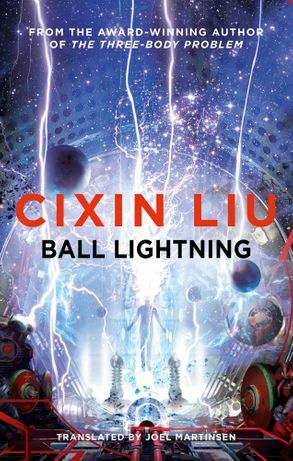 On his fourteenth birthday, right before his eyes, Chen's parents are incinerated by a blast of ball lightning. Striving to make sense of this bizarre tragedy, he dedicates his life to a single goal: to unlock the secrets of this enigmatic natural phenomenon . His pursuit of ball lightning will take him far from home, across mountain peaks chasing storms and deep into highly classified subterranean laboratories as he slowly unveils a new frontier in particle physics. Chen's obsession gives purpose to his lonely life, but it can't insulate him from the real world's interest in his discoveries. He will be pitted against scientists, soldiers and governments with motives of their own: a physicist who has no place for moral judgement in his pursuit of knowledge; a beautiful army major obsessed with new ways to wage war ; a desperate nation facing certain military defeat. Conjuring awe-inspiring new worlds of cosmology and philosophy from meticulous scientific speculation, Ball Lightning has all the scope and imagination that so enthralled readers of Cixin Liu's award-winning Three-Body trilogy . Cixin Liu is China's #1 SF writer and author of The Three-Body Problem - the first ever translated novel to win a Hugo Award. Prior to becoming a writer, Liu worked as an engineer in a power plant in Yangquan.